Today, more and more people are turning to Google to find information about their next role. 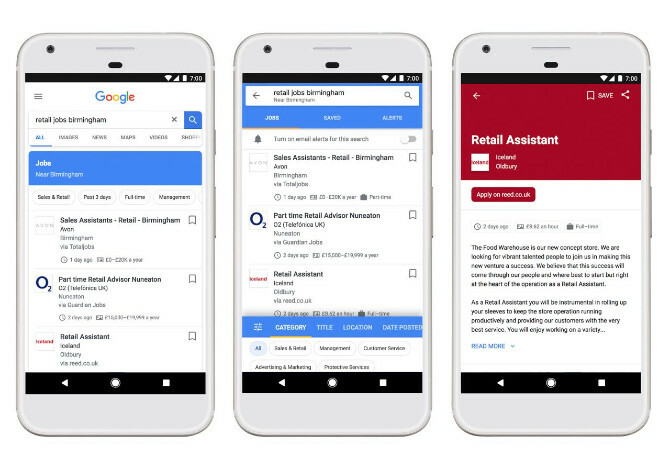 We have a long history of using our technology to connect people with information, so we’re excited to bring a new job search experience to Google to connect people in the U.K. to job opportunities. This new feature in Search lets you more easily explore jobs from across the web and find job postings that suit your needs and skills.